I continue to be awed and humbled by the outpouring of love for this first book of mine. And…I’m excited to announce that I am the honorable mention recipient for the Council For Wisconsin Writers Tofte/Wright Children’s Literary Award for the writing of A PLACE FOR PLUTO. This award is given to Wisconsin residents for literary works for children published in 2018. I’m honored to be in great company with author Patricia Sutton for her work on CAPSIZED. A full list of winners from other categories can be found here. The Arthur Tofte/Betty Ren Wright Children’s Literature Award is given to the Best Children’s Book published by a Wisconsin-based writer in the previous year. From 1966 to 1992 this award was known as the Juvenile Book Award, and from 1997-2003 as the Arthur Tofte Juvenile Fiction Book Award. See a list of past winners of this award. Arthur Tofte (1902-1980) enjoyed two distinctly different careers: one as a businessman and the other as an author of science fiction, fantasy, and the occult. 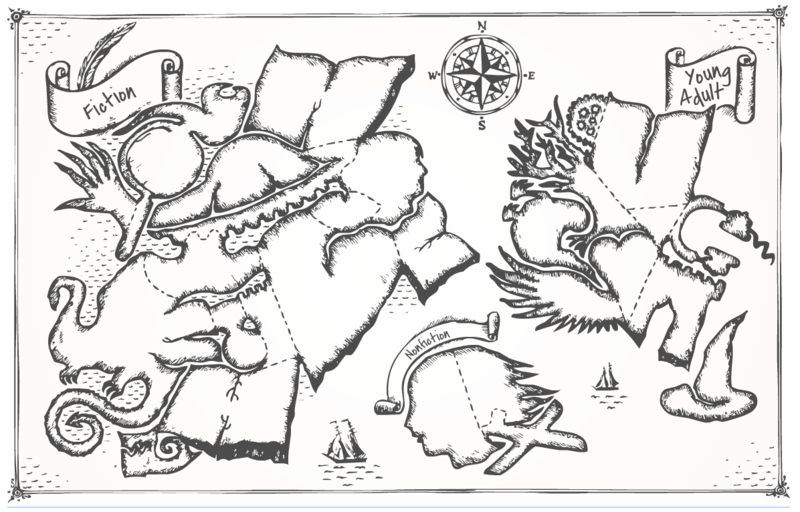 He published his first story, “The Meteor Monsters,” for Amazing magazine in 1938 when he was a member of the Milwaukee Fictioneers, a group focused on the memory and style of influential science fiction writer Stanley G. Weinbaum. Tofte then focused on his career as a business executive in Milwaukee. Upon his retirement in 1969, and with the encouragement of editor Roger Elwood, he began publishing again, eventually producing five novels, 18 short stories, and four essays. His most popular works include Crash Landing on Iduna (1975), Walls Within Walls (1975), and The Ghost Hunters. His The Day the Earth Stood Still (1976) is a full-length version of the short story made into the world-famous film. 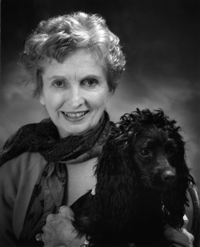 Betty Ren Wright (1927- 2013) grew up in Milwaukee, graduated from Milwaukee-Downer College (now Lawrence University), and worked as an editor for Western Publishing Co. in Racine from 1949 to 1978 until turning to writing full time. 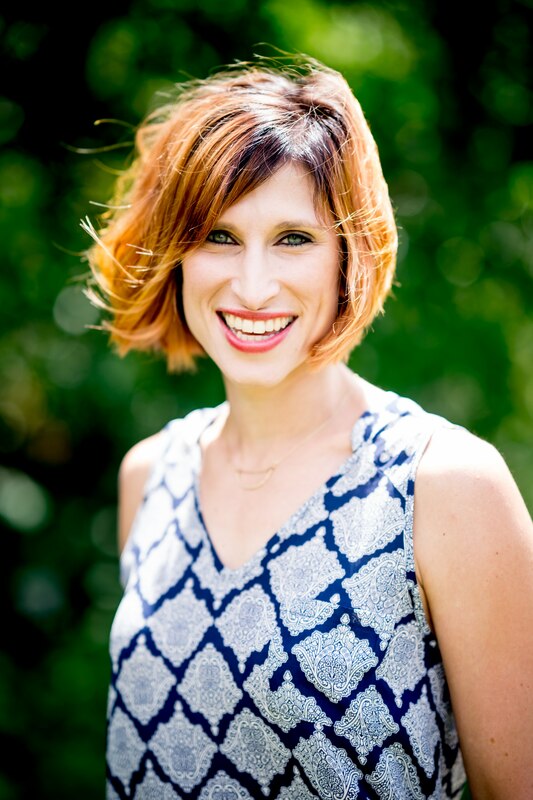 Known for her mastery of mystery and suspense, her popular mysteries for middle-grade readers include A Ghost in the House, The Ghost of Mercy Manor, Too Many Secrets, and A Ghost Comes Calling. Her novel The Dollhouse Murders was a 1983 Edgar Award nominee in the best juvenile category and won the Texas Blue Bonnet Award. She also wrote 35 picture books, and her short stories appeared in Young Miss, Ladies’ Home Journal, Redbook, and many other magazines. I can officially say, my newest picture book comes out next year! 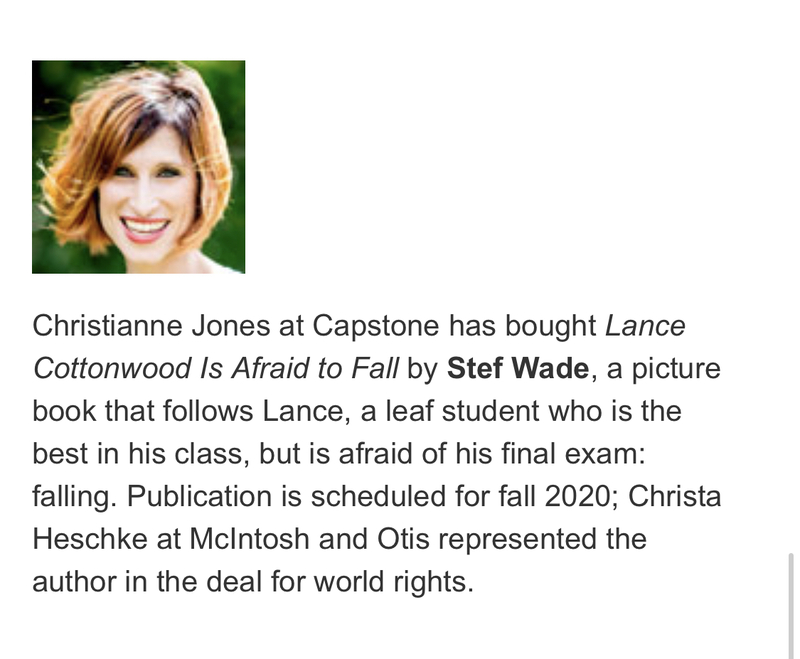 I’m so excited to bring you LANCE COTTONWOOD IS AFRAID TO FALL, releasing Fall 2020, published by Capstone. LANCE COTTONWOOD follows Lance the leaf, who’s the best student in his class, but is afraid of his final exam…falling. Get ready for another pun-ny and fact-filled adventure! Stay tuned for more information on illustrator and release dates. I’m excited to announce a special launch party for A PLACE FOR PLUTO! Our awesome friends at Jaunt and Berry Yo in Arlington Heights, IL are teaming up to bring you an exciting day for all things Pluto! Bring family and friends and join me for a fun afternoon! 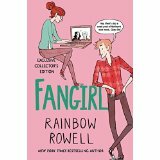 Reading and Q&A session with Stef Wade, followed by book signing, activities, fro yo and fun! Pluto got the shock of his life when he was kicked out of the famous nine. His planet status was stripped away, leaving him lost and confused. Poor Pluto! On his quest to find a place where he belongs, he talks to comets, asteroids, and meteoroids. He doesn’t fit it anywhere! But when Pluto is about to give up, he runs into a dwarf planet and finally finds his place in the solar system. This feel-good picture book combines a popular science topic with character education themes of self-discovery, acceptance, and friendship. It has bonus material in the back matter to support curriculum. Stef Wade is the author of A PLACE FOR PLUTO. Growing up in Des Plaines, IL, she dreamed of seeing her book on the shelf one day. And now her dream has come true! Stef is an alumnus of St. Paul Lutheran School in Mt. Prospect and Maine West High School in Des Plaines. 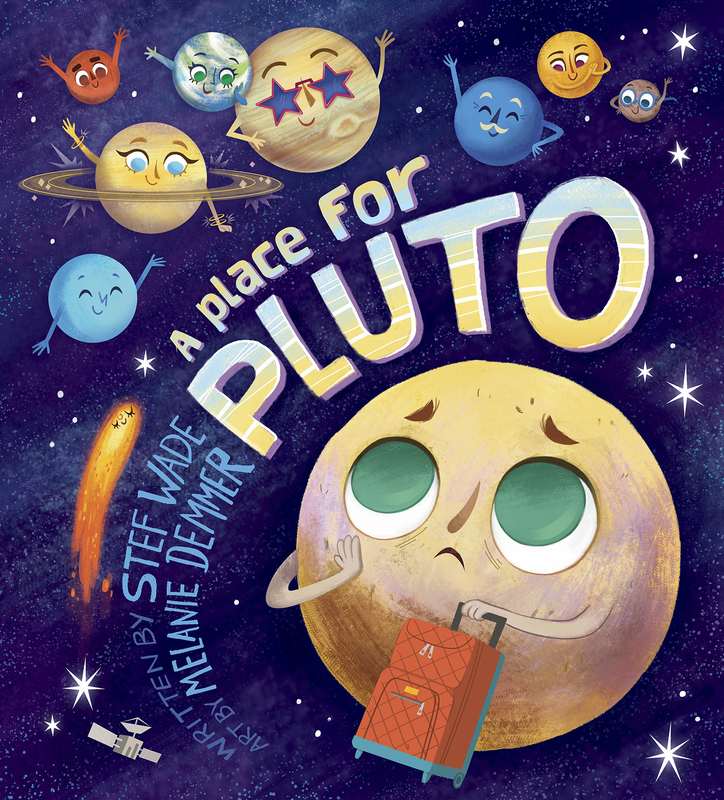 A PLACE FOR PLUTO is her debut picture book and has been chosen by Barnes & Noble for their national storytime on August 11. Writing has been my “thing” since I was able to form words on a paper. Being an author has been my dream since I started reading. Eight years ago, I decided to get serious about it. I’m proud and excited to announce that my first children’s book is becoming a reality. A PLACE FOR PLUTO will hit shelves Summer 2018. A PLACE FOR PLUTO follows Pluto as he struggles with a bit of an identity crisis after being told he’s no longer a planet. The book is illustrated by Melanie Demmer and published by Capstone. 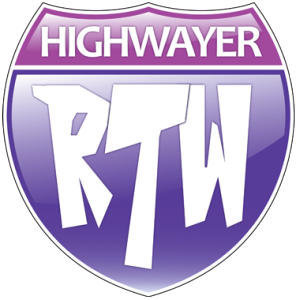 For the Publisher’s Weekly announcement, click here. I’ll share more about my journey along the way, but for now, we’re popping the cork and toasting to Pluto. Here’s to chasing dreams that may seem out of this world. Ahhh the new year. A time of fresh starts and new beginnings. A time to set resolutions we will give up in two days, two weeks or if you’re really ambitious two months. Lose weight! Find love! Follow my dreams! I find that breaking new year resolutions down to the nitty gritty helps me to stay on task. This year, for example, I aim to take my nail polish off before it diminishes to small spots in the middle of my finger. Small goals. Baby steps. As they say, set the bar low. It’s not that I don’t have huge lofty goals for myself (hello, look at this website) but I don’t necessarily find the new year resolution to be the best goal setting device. I do like the idea of starting the year out with some ideas that offer room for growth. I was inspired by a reading challenge list PopSugar put out at the end of the year. I love book clubs. I love being given something to read that I may not have grabbed off the shelf. However, sometimes book clubs end up with the same books or you put off reading books you really want to read because of your book club. Problem and Solution! Enter the 2015 #DIYBookClub Challenge. I’m hosting a virtual do-it-yourself book club. Once a month (and a few bonus challenges too), I will post a challenge topic. However that topic pertains to you and your interests, you pick a book to match. The beauty? We can read the same books, or different books, and share our thoughts during and after reading them – right here on this site. 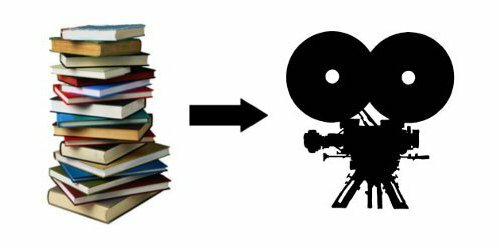 I am vigilant about reading books before I see their movie counterparts (with a few exceptions), so I love this category! I am starting out by reading THE GIVER by Lois Lowry. I’ve had this book on my to-read list for years and have yet to get around to it. The movie is out to rent now and before I watch, I need to read! What will you be reading? Please share below! Also, follow me on Facebook or Twitter for extra updates and reviews. If you post on social media, let’s use #DIYBookClub so we can follow it together! 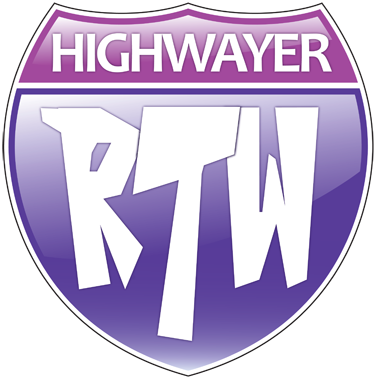 It is quarterly check-in time on YA Highway Road Trip Wednesday and boy could I use one! Many of you have asked how the world of writing is going for me and thank you for all of your support. In the beginning of this year, I have to say that I would never have foreseen the forward motion of my writing career really take off from idle to, well…at least first gear. My first manuscript is floating around the agent world. I have seen some great response and feedback. Nothing big to speak of thus far, but I realize more than anything that these things take time. And patience. Lots and lots of patience. In the meantime, I am very excited to be writing my second full manuscript, currently titled THE TRUTH ABOUT THE BIRDS. I’m hoping to have a solid draft by year’s end (please hold me to that). It has been a strange and crazy ride so far learning the ins and outs of the publishing world, but like any good student, I am taking it all in stride, reading a lot, writing, talking to people, making writer friends and immersing myself into this world I have always wanted to be a part of! As the final quarter of the year rolls around, I wish for progress on manuscript #1 as well as completion and satisfaction in manuscript #2.